As one of the newest jets to hit the market, the Falcon 8X is a long range business jet offering several variations to its cabin layout. Becoming FAA and EASA certified in the summer of 2016, the Falcon 8X is already making deliveries to customers all over the world. 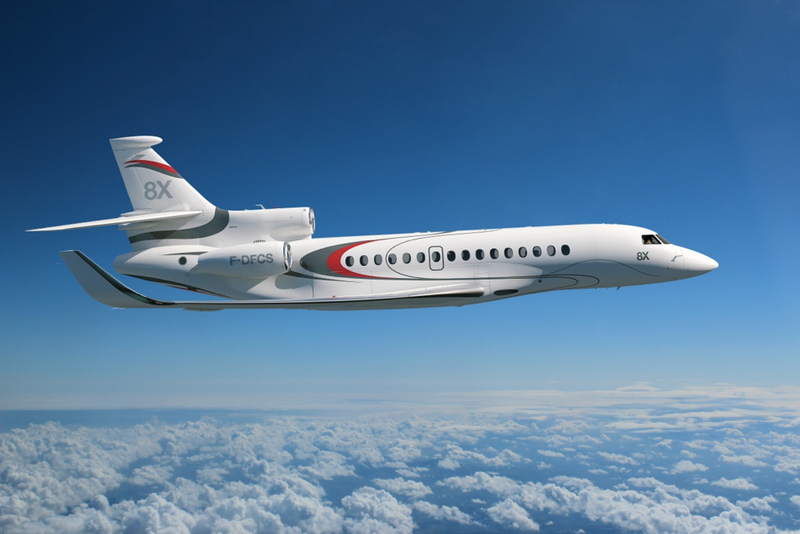 In comparison to the Falcon 7X, the 8X offers a significant reduction in fuel consumption, noise, and emission of nitrogen oxide. This is due to the 3 P&W Canada engines, which deliver 6,720 pounds of thrust each. That is a 5% increase compared to the Falcon 7X. The 8X also has strengthened wings that allow it to carry more fuel at a range of 6,450nm. Featuring the longest cabin in the Falcon family, the 8X is sure to meet your comfort and design standards. With more than 30 configurations that can be applied to the layout of the cabin, travelers will be able to choose exactly what meets their needs. 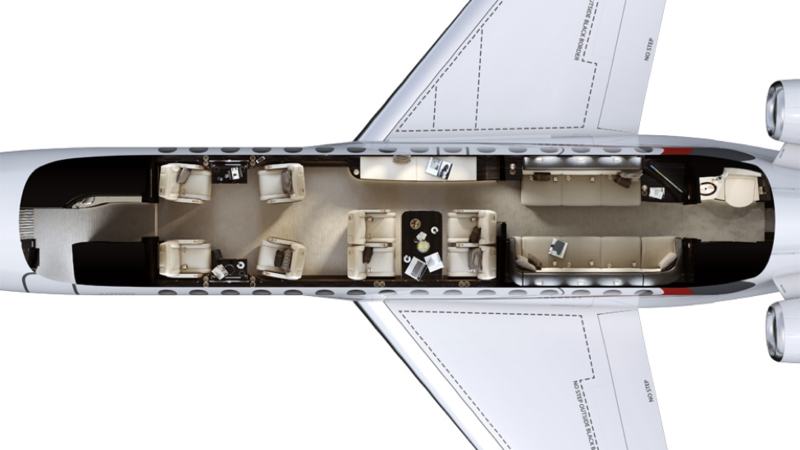 The Falcon 8x offers 8 passenger seats, as well as various lounges and up to 33 windows depending on the layout chosen. Passengers also have the ability to control the cabin environment, as well as track the flight progress using any Apple device. The cabin altitude and noise are low, making for better air quality and less jet lag. The resigned cockpit offers more comfort and safety features for the flight crew. Wide screen displays enhance visibility in conditions that would otherwise be low-visibility. 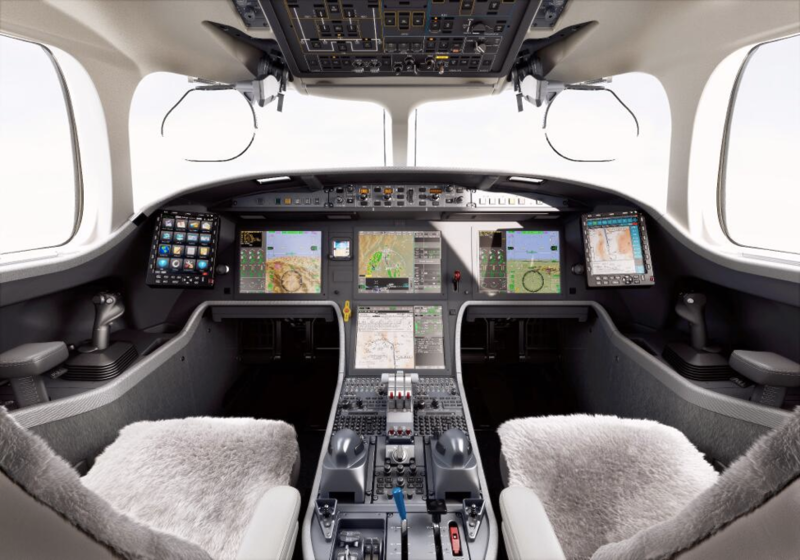 Honeywell’s newest 3D color weather radar system can help enhance the detection of turbulence, while the digital flight control system helps to interpret the pilots every move, guaranteeing a precise and safe flight path from take-off to touch down. The 8X can travel up to 7,422 miles nonstop with the capability of reaching speeds up to 425mph, getting you where you need to be in a shorter amount of time. Its operating costs are about 35% lower than competing jets, giving you more bang for your buck. The Falcon 8x can fly farther and faster than most business jets and offers more nonstop flights with its ultra-long range. It is the ultimate in comfort and efficiency, and is sure to meet your business as well as personal goals.